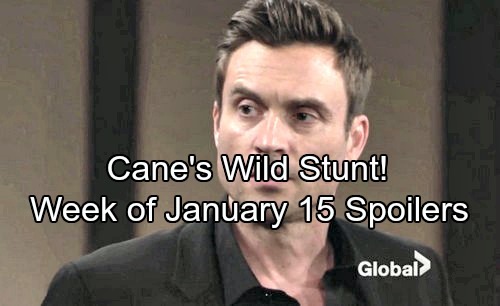 The Young and the Restless (Y&R) spoilers tease that Cane (Daniel Goddard) will be on a mission next week, January 15-19. He’ll decide he can’t take a passive approach to a reunion with Lily (Christel Khalil). Y&R fans know that Lily and Cane are trying to put their marriage back together, but distance is a problem right now. Lily’s business trip came at the worst possible moment for this relationship. However, it really wasn’t Cane’s place to ask Lily to stay. He put her through total turmoil for months and then had the nerve to try to derail her plans. Lily deserved to take advantage of this opportunity. Cane may soon realize he’s the one who needs to make sacrifices and go all in. If Cane wants to jumpstart their reconnection, he’ll have to make some bold moves. Y&R viewers can expect Cane to do some brainstorming. He’ll do his best to come up with a plan to prove his love. Cane can tell that he still has to seal the deal. He needs to pull out all the stops and be the kind of husband Lily deserves. It’ll take time for Lily to fully trust Cane again, but that’s OK. For now, Cane just has to focus on wooing Lily and bringing some serious romance back to their lives. The Young and the Restless spoilers state that Cane will settle on a strategy. Since Lily might be gone for a few weeks, perhaps Cane will decide to pay her a visit in Paris. 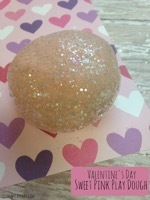 There’s no better place to get romantic. Cane may surprise Lily with flowers and a candlelit dinner. Then again, he might decide to go bigger. Cane may come up with something truly jaw-dropping and adorably over-the-top. Regardless, Cane will want Lily to know he’s been thinking about her. He’d travel anywhere just to make Lily understand how much he cares. The Young and the Restless watchers won’t want to miss Cane’s grand gesture. Will Lily be impressed by this crazy stunt? Are you glad that Cane’s willing to put in some effort here? We’ll give you updates as other Y&R news comes in. Stay tuned to the CBS soap and don’t forget to check CDL often for the latest Young and the Restless spoilers, updates and news.